There’s really nothing better than a big mug of hot cocoa during the chilly months. 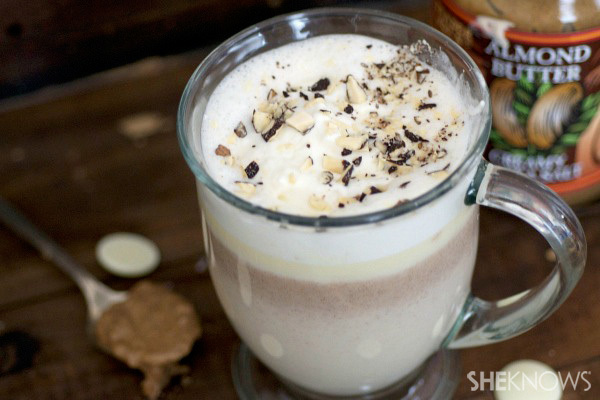 If you’re starting to feel the stress of the holidays and need a cocktail to cope, try one of these luscious and decadent boozy hot chocolate recipes! These creamy hot chocolate recipes are spiked to make handling the holidays just a little bit easier and a whole lot more fun. Triple these recipes if you plan on making them for holiday parties! In a saucepan over medium heat, heat the coconut milk, regular milk, cocoa powder, milk chocolate, bourbon and heavy cream. Whisk repetitively for about 4-5 minutes or until thick and creamy. Remove from heat. 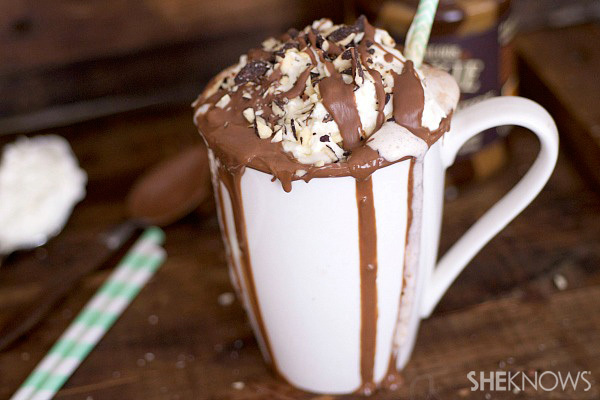 Dip mugs into the melted chocolate. Sprinkle with regular coconut flakes. 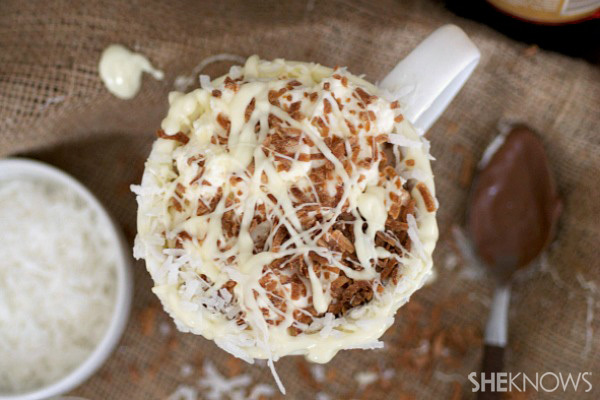 Pour the hot chocolate into the mug and garnish with whipped cream and toasted coconut flakes. In a saucepan over medium heat, add the milk, dark chocolate, cinnamon stick and vanilla. Whisking constantly, mixing the hot chocolate until chocolate is fully melted, about 4 minutes. Remove from heat and whisk in rum. Dip two mugs in melted chocolate (about 1 tablespoon on each) and pour the hot chocolate evenly between two mugs. Garnish each with whipped cream and a drizzle of melted chocolate and 1-1/4 tablespoons chopped almonds. In a saucepan over medium heat, add the milk, vanilla, white chocolate and almond butter. Whisking constantly, heat the mixture for about 5 minutes, or until combined and creamy. Whisk in white chocolate liqueur. Garnish with whipped cream and chopped almonds.